Tires keep your business rolling. And business does not wait for sunny days and easy jobs. Business means pushing the limits of durability, handling and operating conditions. Every day, around the year. At Nokian Tyres we innovate ceaselessly to push the boundaries further in every field of heavy tires, giving you tools you can rely on. Whatever the conditions. Nokian truck and bus tyres are designed for demanding professional use in varying conditions with the aim of ensuring safe driving in all weather and road conditions. 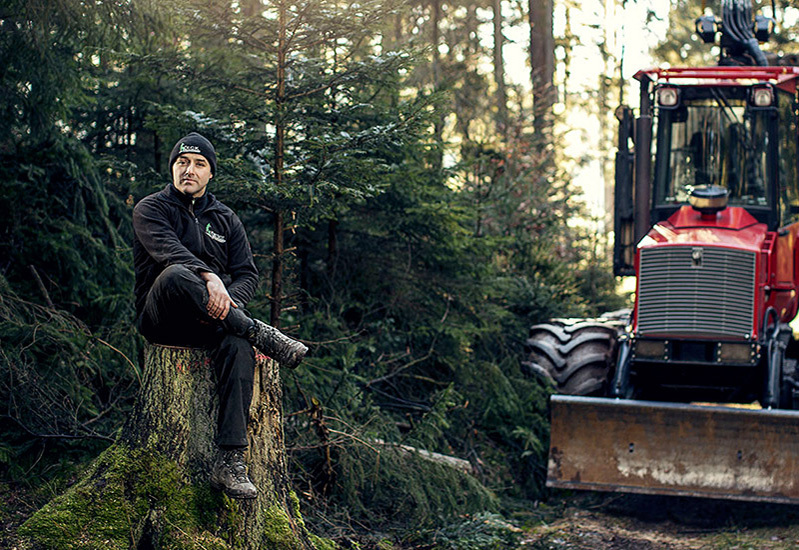 The forestry tyre is a highly developed top product. Its manufacture calls for a sensitive feel, passion, and presence in the actual operating environment. The agricultural tyres manufactured by Nokian Heavy Tyres include a wide selection of special tyres for the rapidly changing requirements of the agricultural industry. The world of mining and tunnelling machine tyres is a rough one, with plenty of cuts and bruises. The loads are heavy and the ground is extremely challenging for the tyres, so mining tyres are in a class of their own in the tyre world. Harbour tyres are a special tyre type that demands both wear-resistance and cost-effectiveness. Nokian Heavy Tyres develops its material-handling tyres in co-operation with the world’s leading machine manufacturers. Thanks to long-term development work, our stable and solid tyres for earthmoving and road maintenance equipment operate in demanding Nordic conditions. Nokian Heavy Tyres customises and develops special products, putting extensive experience, expertise, and creative passion behind the tyres. The all-terrain truck and military vehicle tyres are a few examples of this special expertise. The Noktop retreading materials are developed in accordance with customer feedback in order to be optimal for all road and traffic conditions, all four seasons, as well as the specific needs of different drivers. Our selection is continuously renewed. We offer Noktop users technical support, and all our operations are based on quick and reliable deliveries. Looking for passenger car tyres?